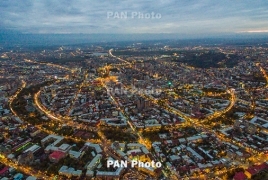 PanARMENIAN.Net - Armenia has taken the 62nd spot the 2019 Global Finance ranking of safest countries in the world among the 128 economies included in the survey. In the World's Safest Countries report, the safety score for countries equally weighs each of the three factors: war and peace, personal security, and natural disaster risk. The safety score aggregates the indices from these three risks, thus presenting a comprehensive view of safety for each country. This also means that a high level of risk in one factor will have limited effect on the country’s overall ranking. Neighboring Georgia, meanwhile, outperformed Armenia to rank the 49th, while Azerbaijan lags behind at 71st. Iceland, Switzerland and Finland top the list, while Guatemala, Yemen and Philippines come in the bottom end. In fact, 16 of the top 20 safest countries are located in Europe while only Qatar, Singapore, New Zealand, and Canada rank in the top 20 without being in Europe. The U.S. ranks almost exactly in the middle at 65th, well behind its economically developed peers. This is because the risk from violent crime in the U.S. is higher due to the higher rate of homicide.